I don’t remember exactly how long-time friend and collaborator Alexandra Deschamps-Sonsino and I hatched a plan to organise a conference, but it was at some point during her visit to catch up and take in some of this year’s Biennial and the Martin Parr exhibition. 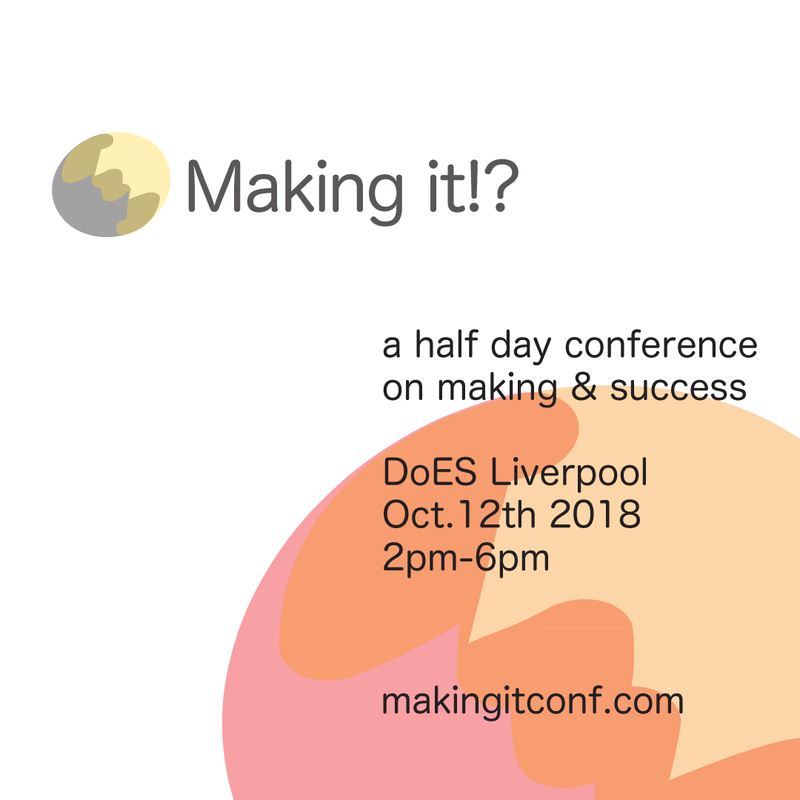 It was the first time Alex had seen the new DoES Liverpool, so I think even more than normal we’d been discussing the state of makerspaces and reflecting on our respective efforts to build maker-related businesses and products. Most of the maker gatherings are targetted at encouraging the public to become makers themselves, or at individual craftspeople. We wanted to bring together the people looking to operate at a higher scale; those supporting those and other makers; and some of the people who have “made it” (or who made it long before we started talking about a maker movement). We amassed a stellar line-up. I’m honoured that so many peers and influences on me professionally agreed to come over and share their knowledge and experiences with us. Hannah Stewart did a sterling job of compering the day, and drew out some great discussions from the panels. It was an excellent day and I think parts of it will ripple out through my practice and work over the coming months. We talked of the importance of stories; about challenges we have faced (and continue to face) but also tales of success and what that looks like. There were reflections on the ups and downs of the past decade; and an enthusiasm and ambition for how there is still lots to do to: many more communities and demographics to reach, but also wondering how to achieve that saturation of access to the opportunities of making without turning it into a facsimile. Many thanks to Alex for all her work in pulling the event together; thanks to Cathy Skelly and the Local Growth Hub and Barclay’s Eagle Labs for their sponsorship; and it was good to be able to support local businesses Squash Nutrition and Paolo e Donato’s pasticceria for their delicious catering and cakes. I gave a talk in the first panel, the Five Myths of Indie Manufacturing, and thanks to the Make Space Live team, you can watch videos of all of the Making It!? talks and panel discussions.